We take our liberties for granted. They seem absolute and untouchable. But they are the result of a series of violent struggles fought over 800 years that, at times, have threatened to tear our society apart. On the frontline was a document originally inked on animal skin - Magna Carta. Distinguished constitutional historian David Starkey looks at the origins of the Great Charter, created in 1215 to check the abuses of King John - and how it nearly died at birth. He explores its subsequent deployment, its contribution to making everyone - even the monarch - subject to the rule of law, and how this quintessentially English document migrated to the North American colonies and eventually became the foundation of the US constitution. Magna Carta has become a universal symbol of individual freedom against the tyranny of the state, but with ever-tightening government control on our lives, is it time to resurrect it? 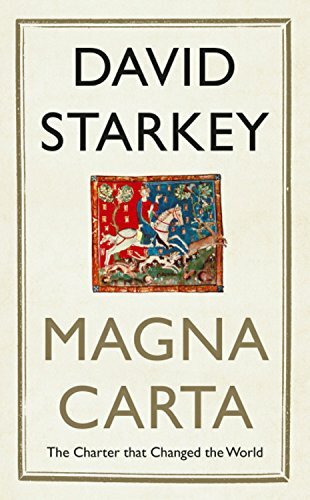 Starkey has a special encounter with an original Magna Carta manuscript at the British Library, one of only four from 1215 to survive. He also examines other unique medieval manuscripts that trace the tumultuous history of Magna Carta, the Article of the Barons listing their demands in June 1215, and the papal bull declaring Magna Carta null and void less than two months after it was sealed.